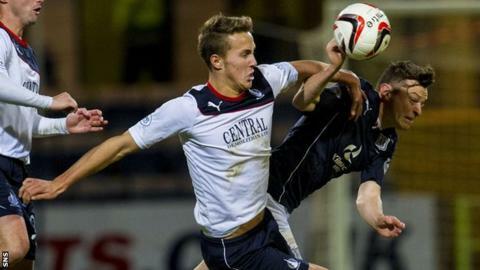 Falkirk defender Will Vaulks has signed a new contract with the Bairns to keep him at the club until the end May 2016. The Englishman, 20, has helped the Bairns reach the Premiership play-offs this season. Having started his career at Tranmere Rovers, Vaulks initially joined Falkirk on loan before securing a full transfer last summer. "Will has been tremendous during the campaign," manager Gary Holt told the Falkirk website. "To get his signature and commitment at this stage of the season is a real boost for the club and supporters."